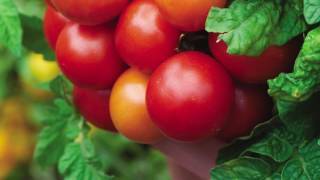 Our favorite super size tomato-with most fruits weighing in at 2 lb. Burpee bred, this is the original with "beefsteak" flavor and meaty texture. Tomato, Burpee's Supersteak Hybrid is rated 4.2 out of 5 by 30. Rated 4 out of 5 by Lilybits from Monster fruit with great flavor! This hybrid needs good growing conditions but when right they will amaze you! We always use them as the majority of our tomato crop backed up by some earlier varieties. Rated 5 out of 5 by Donniee from Tops Have grown this tomato for years, have yet to find one I like better. Start my own seeds, and will continue to do so. This year the best crop of Supersteak yet , one tomato weight 2 lb, 11oz. Rated 4 out of 5 by Takis from amazing I bought these and put them in a pot,they germinated so quick,amazing taste,great flavor. Rated 4 out of 5 by Rich in AR from Great tomato This tomato surprised me. 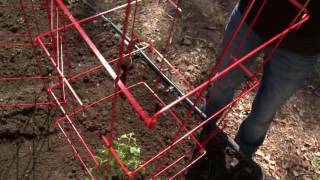 It did well outside during the Summer, so I rooted a cutting for an overwinter greenhouse tomato plant. I'm really impressed! It's now late December and even with nighttime temps in the low 50's in the GH, tomatoes are still very large and ripening nicely. What a treat to have fresh tomatoes near Christmas! Rated 5 out of 5 by Tmarie from Best tomato ever!! We planted these in our garden this year, and we were not disappointed!! They were great producers, producing so many large, delicious tomatoes from each plant. The flavor and meatiness can't be beat! Will definitey be a staple in our garden from now on. Rated 4 out of 5 by I have no Nickname from Great tasteing. They are a big tomato with a good taste and color. Rated 2 out of 5 by Stone357a from NC Fail This one has never done well for me here in the hot humid summers of the North Carolina peidmont. Very susceptible to tomato fruitworms and various fungal diseases that are common here.